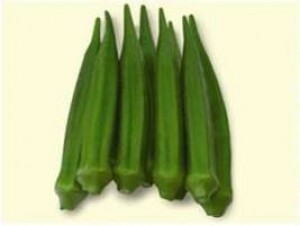 Okra, or bhindi is a delicious pod that is an indispensable ingredient in stews, curries, deep fried or grilled. Easy to grow and extremely productive. 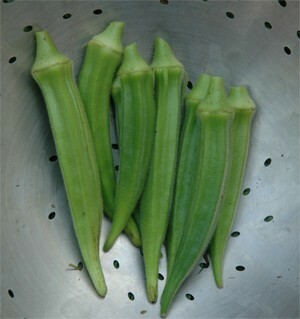 In India, okra is referred to as "Ladies Fingers". 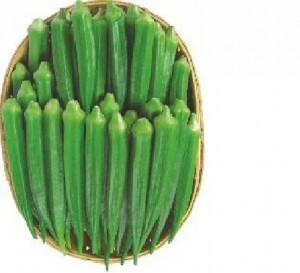 Indian varieties of okra are an attractive dark green, with fruits that remain tender longer. The average fruit size is 9-10cm and the average fruit weight is 9-10gm. Fruits are shiny, smooth and easy to pick. 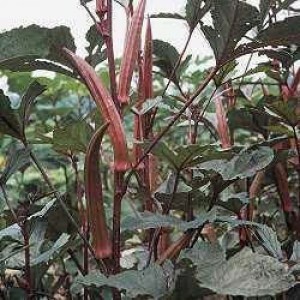 Good field adaptability with dark green fruits and foliage. High yield with excellent fruit quality. Dark green hybrid variety. Vigorous plant with many fruiting side branches. Fruit are long and straight. Excellent taste and keeping quality. Disease reistant.